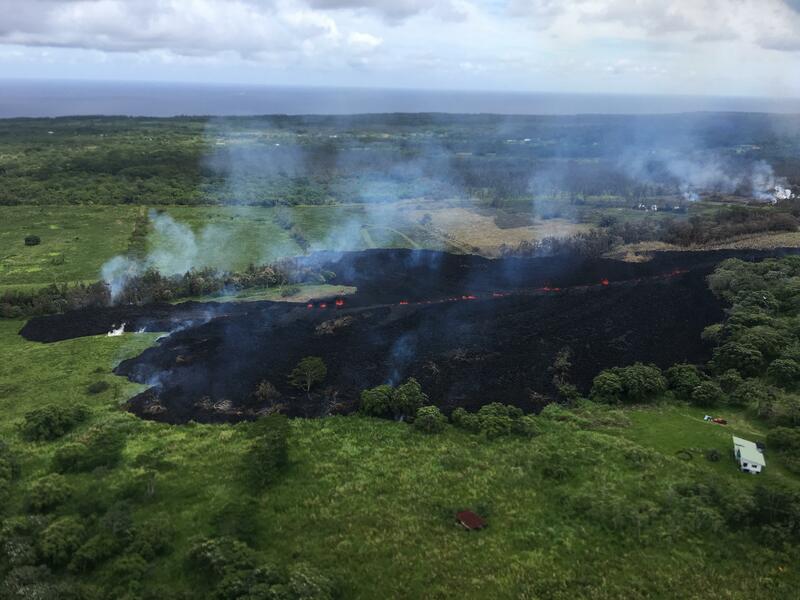 PAHOA, Hawaii – Another fissure spewing lava and unhealthy gas opened up Monday on Hawaii’s Big Island, and a crack in the Earth that emerged a day earlier was sending molten rock on a slow run for the ocean, officials said. Nearly 20 of the fissures have opened since the Kilauea volcano started erupting 12 days ago, and officials warn it may soon blow its top with a massive steam eruption that would shoot boulders and ash miles into the sky. As a precaution, plant workers last week removed 50,000 gallons of a flammable liquid stored at the site. Published: May 14, 2018, 11:08 a.m. Updated: May 14, 2018, 3:28 p.m.